Be the creative girl you are meant to be with this exclusive collection! Learn how to tell a story in your art when words don't seem to fit with the creativeGIRL Inspiration Pack. This two-part collection delivers equal doses of inspiration and instruction, with Danielle Donaldson's new book and a signed art print of her work. Learn to take the colorful scenes in your imagination and bring them to life on paper. Discover how to work through creative frustrations with simple and delightful fixes. Not only will you find the courage and love for the art you create you but you will also receive a signed art print from Danielle. Tap into the expressive and powerful art you will create when you let yourself be a creative girl with this exclusive collection. 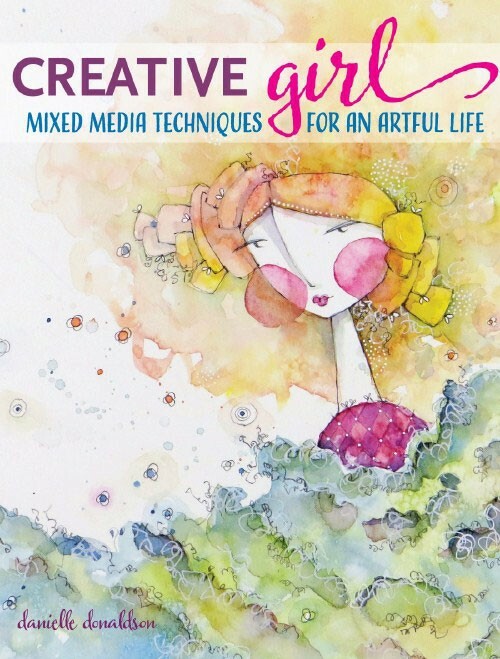 creativeGIRL will not only help you find time to create but also teach you new techniques and help you develop your artistic style with confidence. Learn what you love and why it works from you. Infuse your art with delightful color and draw the pictures from your imagination. Learn how to tell visual stories without words and add depth and layers to your art. Work through your frustrations and problem solve with confidence, grace, and a good attitude. Frame this signed print and keep it in your studio as a reminder of the creative possibilities waiting to be explored by you! The print measures 8"x10" and signed by the artist and author of creativeGIRL.